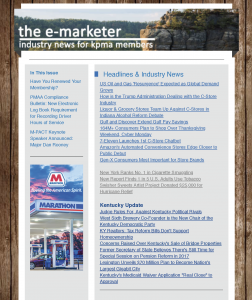 KPMA’s e-marketer provides members with weekly updates pertaining to the petroleum industry. Information ranges from Industry Updates, Local Government Regulation Updates, Market Trends, Security Updates and Breaking News. The e-marketer also provides members opportunities for sponsorship and advertisement placement.